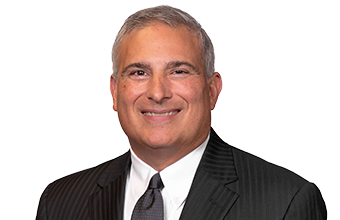 McAfee & Taft is pleased to welcome renowned trial lawyer Drew Neville to our growing top-rated litigation team. 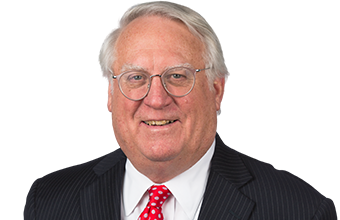 For more than 45 years, he has distinguished himself as one of the nation’s go-to trial lawyers, representing clients in numerous high-stakes, high-profile cases across the country. “Drew’s coming to McAfee & Taft strengthens an already strong litigation group,” said Michael Lauderdale, McAfee & Taft managing director. “We have great depth in our litigation practice and Drew just complements that, but what he also brings is another bet-the-company lawyer. Drew has tried in excess of 200 cases at the trial and appellate levels — more than 150 of which resulted in a verdict — and has developed a reputation for being a meticulous advocate for clients in high-stakes litigation, including bet-the-company and white collar criminal cases, as well as complex litigation involving business, securities, banking, antitrust, and directors’ and officers’ liability claims. Over the course of his distinguished career, his clients have included prominent corporate executives, media celebrities, sovereign Indian nations, and some of the nation’s leading corporations. “His past experience from Imelda Marcos, Martha Stewart, Snoop Dogg — just all the people he’s represented — it’s just amazing,” Lauderdale said. “You don’t find those kinds of lawyers anymore. We have them, it’s just that you don’t have the ability to try cases like you used to. Drew’s skills as a preeminent trial lawyer have earned him fellowship in the American College of Trial Lawyers and perennial inclusion in Chambers USA Guide to America’s Leading Lawyers for Business, The Best Lawyers in America, Benchmark Litigation, and Oklahoma Super Lawyers, which has named him to its prestigious list of “Top 10 Oklahoma Lawyers” every year since its inaugural publication and ranked him #1 for eight years.